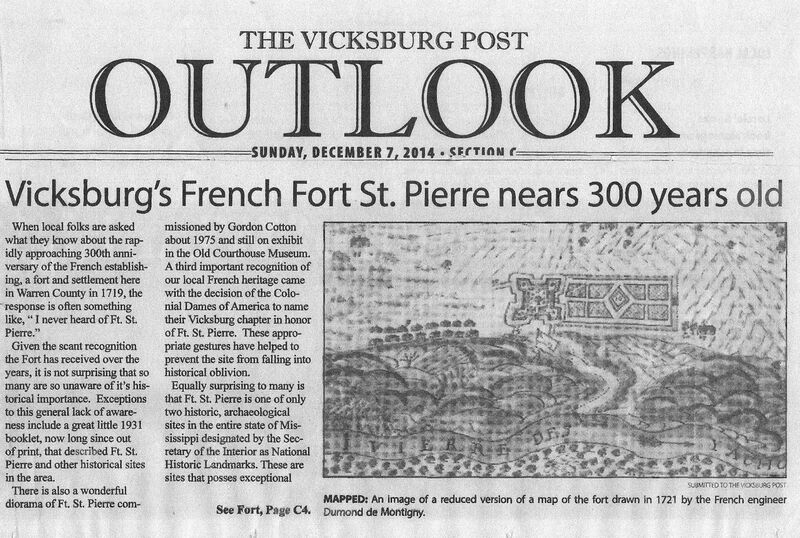 Fort St. Pierre Marker to Be Dedicated Friday, John Surratt, Vicksburg Post, 2 Jan 2019. Photo Gallery: Volunteer Workers Clean Up Fort St. Pierre, Courtney Wells, Vicksburg Post, 24 Nov 2018. Group Working to Clean Up and Mark Fort St. Pierre, John Surratt, Vicksburg Post, 21 May 2018.